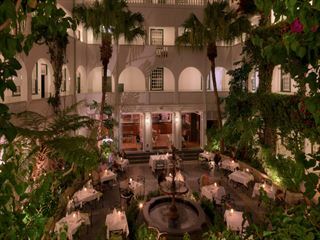 Combining the cosmopolitan streets of Cape Town with the unique desert landscape of Namibia, this is a 12-day adventure you’ll never forget. 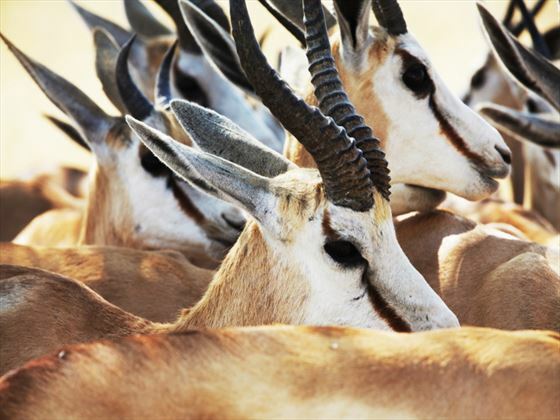 There are numerous experiences you’ll treasure from this trip, from leaving your footprints on the world’s highest sand dunes in the Namib Desert to taking exhilarating game drives in the Etosha National Park. Your accommodation will be varied throughout the trip, from camping and farm stays to hotels and guesthouses, to give you a diverse range of experiences. 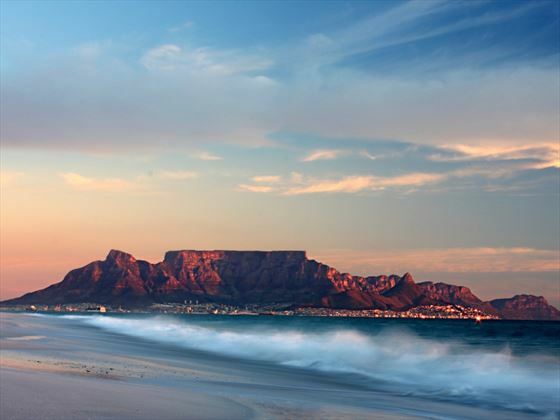 Arrive at any time into Cape Town. Spend the day at Lambert’s Bay where you have the option to enjoy a wonderful dinner on the beach. 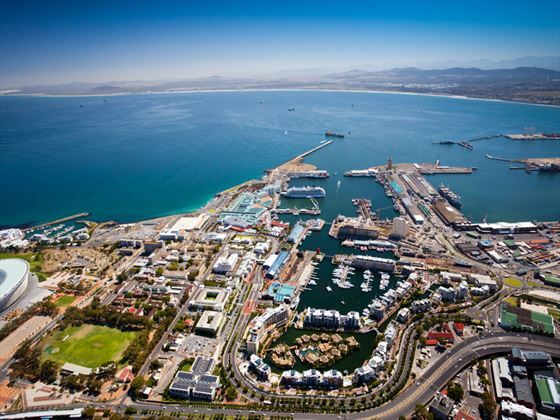 Lambert’s Bay is a charming town on the West Coast of South Africa – perfect for browsing the shops and boutiques. 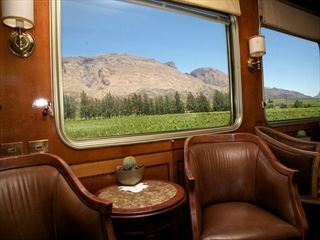 Be sure to stop off en-route for a spot of wine tasting. On day 3, you can enjoy the scenic views of the Gariep River where you’ll also have the option to take a ride in a canoe. 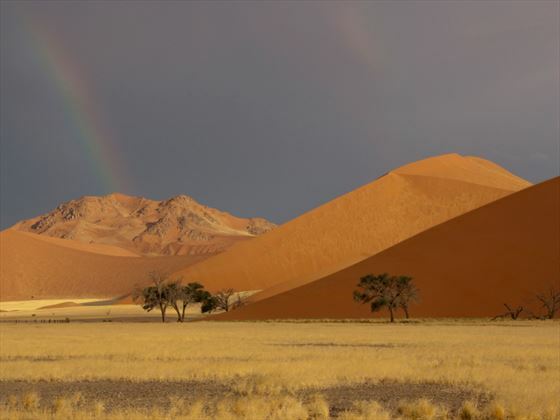 Spend your fourth day of the trip taking in the spectacular beauty of the Fish River Canyon, then visit the Namib Desert where you can climb up the awe-inspiring Dune 45 followed by a visit to the Sesriem Canyon. 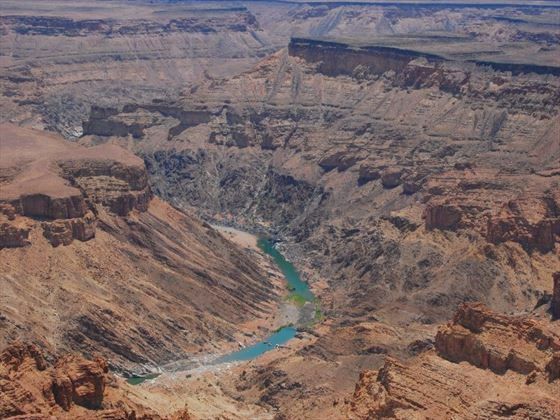 Fish River Canyon is the largest in Africa and a true beauty within the landscape, with Fish River claiming the title as Namibia’s longest river. 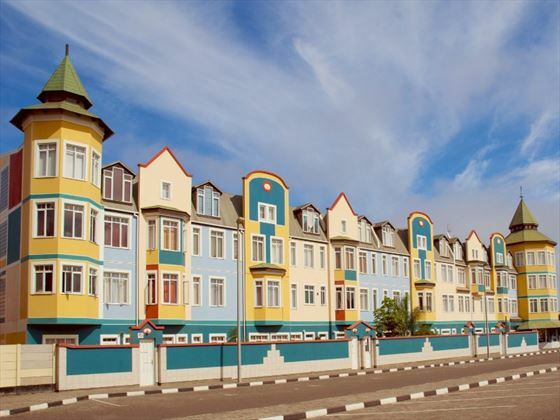 Today you will venture into the historical town of Swakopmund, where you’ll spend the next two days. There are some amazing views and landscapes to be found here, as well as a number of fun activities to take part in – choose between sand boarding, a dolphin cruise, quad biking, sky diving and a Living Desert tour. Take some time to really enjoy the wonders of the Etosha National Park – a vast area that’s home to a number of beautiful species of wildlife and birds, including zebra, elephants, lions and the elusive Black Rhino. 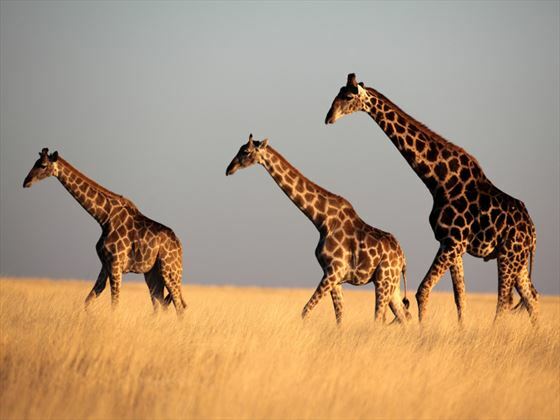 Take part in game drives, with the option to embark on an open-safari vehicle game drive. This area is one of Africa's biggest highlights and offers a great combination of wildlife and natural landscapes to explore. 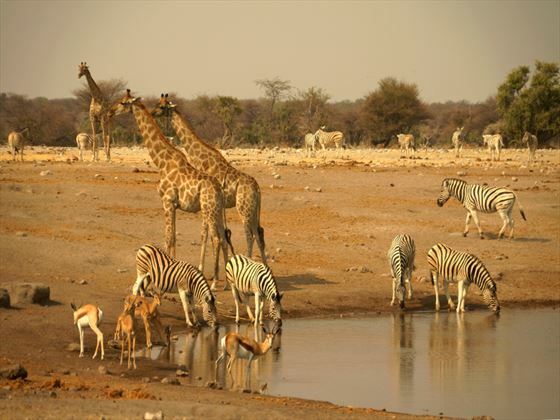 Enjoy a final morning game drive in Etosha National Park before heading to Windhoek to explore the capital. 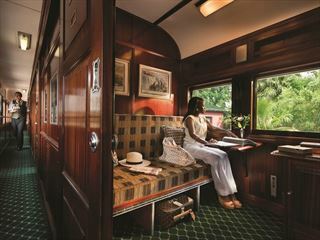 A truly amazing itinerary, taking in the must see sites in stunning Cape Town, the spectacular Kruger National Park and the intriguing region of KwaZulu Natal and combining it with an overnight trip on the famous Blue Train.